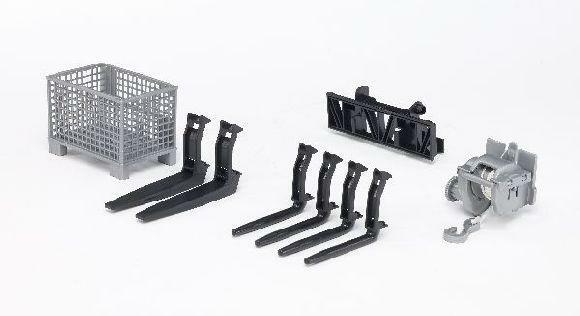 The front loader accessories consist of an adapter, a basket pallet, a cable winch and four hay forks plus two pallet forks. 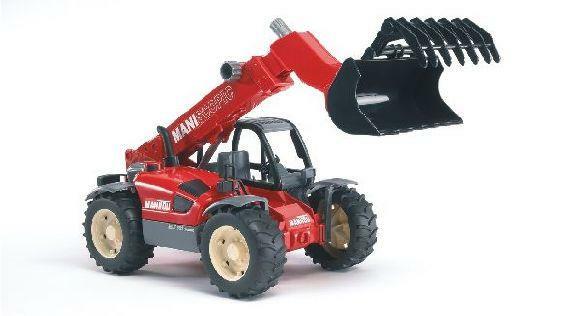 To add to the fun of playing, the front loader accessories can be fitted to all tractors from the Bruder range and the Manitou telescopic loader (not included). I now have one very happy grandson. He loved the basic forklift but the extra pieces have added to his enjoyment. 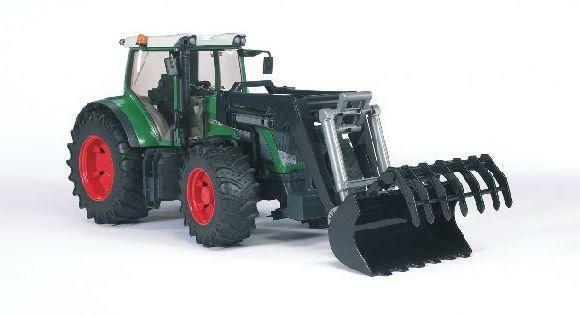 will be an excellent addition to telehandler bought for my son! 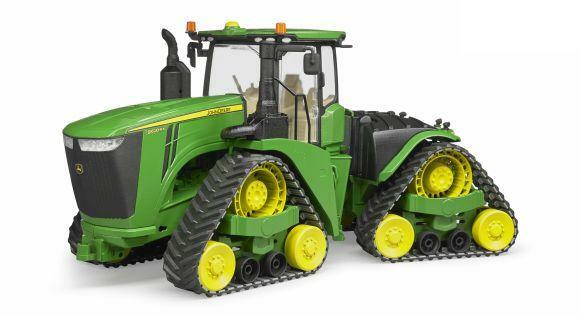 A little fiddly to put on and off but once you get used to it great accessory for the tractor and loader. Good prices. Good quality. Well packaged. Excellent value. Unfortunately pallets tines are a bit fragile but great to get a replacement. Usual high quality from Bruder.